Many cosmetics companies sell products claiming to lift and firm skin. Their claims sound wonderful—like "face-lift in a bottle"—but almost without exception, they are not genuine. It's not that all firming creams are bad, but the vast majority are poorly formulated, and the promises they make stretch the truth well beyond what's possible from any skincare product. Knowing the truth about firming creams matters because wasting money on products that don't work is never pretty! The various aspects of skin that give it resilience, support, and suppleness and allow it to "bounce" back into place with a feeling of firmness are vital to skin looking young. When we are young, our skin makes lots of substances that help it bounce back into place; older skin, on the other hand, makes almost none … nada … zilch! Environmental factors also play a role in degrading those important aspects of skin that give it the flexibility we all want. Many of those "firming" or "lifting" creams are a waste of money because they don't contain ingredients that can really firm or tighten (lift) skin, and their claims are way beyond reality. Skincare products that claim to work as well as procedures performed in professional settings simply aren't telling the truth, and there is no published research to the contrary. But, there's some really good news: While skin can't actually make the substances that create the appearance of being lifted, we can use other resources to give it the appearance and feel we desire. Here's what you can do to get started on the road to helping your skin feel and appear firmer and tighter. Using what really works will get you closer to the results you want! Sunscreen is at the top of the list—that is non-negotiable! Sun damage is considered by experts around the world to be one of the primary reasons skin loses its buoyant flexibility. Broad-spectrum sun protection is a powerhouse youth-preserving skincare step, and it's never too late to start. Products loaded with antioxidants and skin-restoring ingredients are incredibly important. These two types of ingredients help defend against environmental attack and help bring about a firmer, more lifted look. Potent antioxidants and skin-restoring ingredients make all the difference in the world for skin. Daily use of a leave-on, gentle salicylic acid (BHA) or glycolic acid (AHA) exfoliant can make a huge difference. Along with exfoliating for noticeably and dramatically smoother and more hydrated skin, they help skin's resiliency bounce back. You don't need to use both, one or the other is fine; if you like, you can alternate them. Retinol and niacinamide are skin-transforming, superhero ingredients that can address almost every imagineable skin concern—appearance of wrinkles, loss of firmness, and enlarged pores—and can revive the look of plump, youthful suppleness. 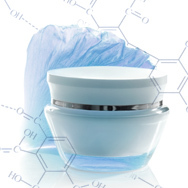 Peptides are a large group of ingredients, but certain peptides can specifically target factors that visibly improve loss of firmness and wrinkles. We combine them with amino acids and key replenishing ingredients in our Peptide Booster to achieve multiple benefits. The products mentioned above are the best anti-ageing and anti-sagging products you can consider, whether from Paula's Choice or another company. And remember: It is important that your skincare products are in airtight packaging—not in jars—to give those superstar (and delicate) ingredients the best chance of working effectively! That's because many of those hero ingredients, such as retinol, vitamin C, and other antioxidants, degrade if exposed to air and light.